I have this phone (dualsim WCDMA) variant and still happy with it. I've discovered that it has built ANT+ support despite it's not listed anywhere. Great news for me as I can use again my HR monitor I still have since I owned xperia mini pro. I overall experience with phone is good except it uses Czech localization of Android 4.2.2 ROM which is not perfect and every update brings Chinese versions of system apps. As far as I know there is no international multilingual ROM. just 10min ago i found my vibe Z's touch has been cracked and touch is not working. what is the use of gorilla glass 3? Peggysue, 30 Mar 2014Exactly! Why did you ever forget the microsd slot? It is almost yes almost a superb phone. 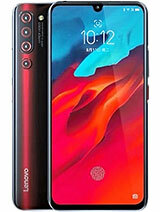 But... moreI like tis phone, that is why i'm checking with current owner whether USB otg flash drive or cloud storage will be able to solve storage issue? 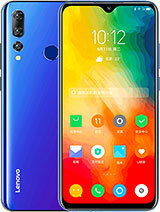 I heard that lenovo offered free cloud storage service for their phone. Hope current owner out there able to confirm. I just bought this Vibe Z as well. 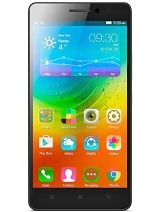 Its a very good phone but mine with dual sim, means it's fake? Does anyone face any problem with the speaker when in voice calls with someone? Anonymous, 25 Mar 2014Can anyone clarify if this dual SIM version allow user to used both SIM for GSM, or both SIM f... moreThere is a dual sim version it's not fake. Dual sim version is for China market and only supports wcdma or 3g.only the single sim version comes with Lte. ram, 27 Mar 2014What should we do with such gorgeous display, and good camera? u can never find success unless... moreExactly! Why did you ever forget the microsd slot? It is almost yes almost a superb phone. But vibe z can never compare to note 3. No contest! Note 3 wins. Hi, could anyone who has this vibe z can verify whether usb flash drive such as Kingston DataTraveler microDuo flashdrive are compatible to use? 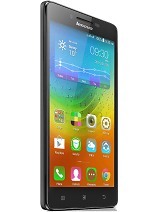 I'm asking tis bcoz this phone do not have SD card slot. What should we do with such gorgeous display, and good camera? u can never find success unless you provide SD card option on Vibe series.. 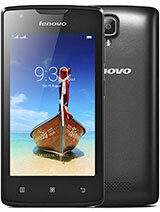 Anonymous, 11 Mar 2014The official site of Lenovo mentions only Single SIM. Many other sites state Dual SIM. Is ... moreYes it's a fake! 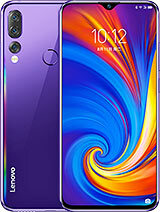 I'm working in Lenovo and we have not produced dual SIM version! Dual SIM version doesn't exist! It is a copy, not original! So, if you see dual SIM or phone with memory slot it's a copy not original! i want to buy the K910L newly released in India. I think K910L is LTE version right and only one SIM card to be used. 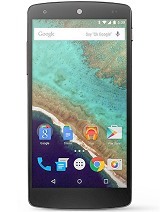 could you let me know where i can get this phone in Bangalore or Mumbai with mentioning particular shop and location? Just bought lenovo a week ago.. So far it was fantastic.. The front camera was awesome and the rear camera was fabulous although you capture in a low light area.. The processor was amazing.. It also have a smart cover just like Samsung.. Overall I gave it 9/10.. B4 this I've used s4 but the phone easily hang and lag.. So I sell it and buy vibe z.. S4 was okay also but vibe z was great..